Elvis Cole, Joe Pike, Scott James and Maggie come together in this long awaited thriller from Robert Crais. Scott and Maggie were introduced in Suspect, Scott is an LAPD detective suffering from PTSD after the death of his partner, Maggie is a Marine Corps explosive sniffing dog who also suffers from PTSD after the death of her handler in Afghanistan. Maggie and Scott are teamed up as an LAPD K-9 unit. Elvis is hired to find a woman who has embezzled a massive amount of money from her employee. As Elvis begins to investigate he is confronted by Scott at a crime scene. As the investigation continues both Scott and Elvis come to realize that they are not getting complete information from the client or Scott’s superior. The story involves terrorist, bank robbers, Homeland Security, and corrupt officials. It is another amazing story from Robert Crais, as with each new book from him it has become my favorite book by him. Did I enjoy it? Immensely. It is always an exciting adventure with Elvis and Joe and throwing Scott and Maggie into the mix makes it even more compelling. What is with the title of the review? 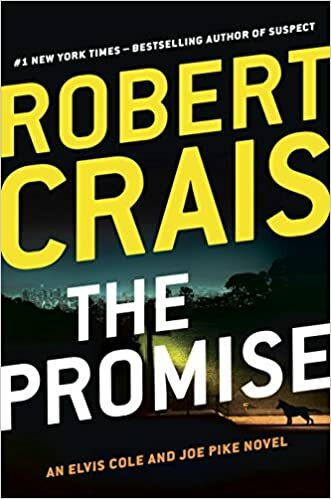 The publication of this book was repeatedly postponed and it has been 32 months since I finished the last Robert Crais book. One of the two best books so far this year! A follow up to Karen’s debut, Mother of Rain, Burdy begins to receive someone that she thought was dead. As she corresponds with him she decides to visit him and see if she can determine while he has hidden his true fate from those who love him. She decides to visit him and learn from him what happened. Her adventures while traveling far from the hollers of Tennessee are extremely moving. There are things that I did not see coming and I was incredibly moved by the story. Did I enjoy it? Yes, I was incredibly moved by some of the passages in the book. There are several dog eared pages in my copy because I want to remember Karens’ phrasing. I am looking forward to the third book.